Magnus Berggren received his MSc in Physics in 1991 and graduated as PhD (Thesis: Organic Light Emitting Diodes) in Applied Physics in 1996, both degrees from Linköping University. He then joined Bell Laboratories in Murray Hill, NJ in the USA, for a one-year post doc period focusing on the development of organic lasers and novel optical resonator structures. In 1997 he teamed up with Opticom ASA, from Norway, and former colleagues of Linköping University to establish the company Thin Film Electronics AB. From 1997 to 1999 he served Thin Film as its founding managing director and initiated the development of printed electronic memories based on ferroelectric polymers. After this, he returned to Linköping University and also to a part time manager at Acreo Swedish ICT. In 1999, he initiated the research and development of paper electronics, in part supported by several paper- and packaging companies. Since 2002, he is the professor in Organic Electronics at Linköping University and the director of the Laboratory of Organic Electronics, today including close to 60 researchers. 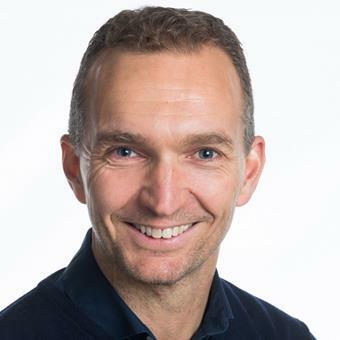 Magnus Berggren is one of the pioneers of the Organic Bioelectronics and Electronic Plants research areas and currently he is the acting director of the Strategic Research Area (SFO) of Advanced Functional Materials (AFM) at LiU. In 2012 Magnus Berggren was elected member of the Royal Swedish Academy of Sciences and in 2014 he received the Marcus Wallenberg Price. Manager meeting at LOE. From left Magnus Berggren, Daniel Simon and Åsa Wallhagen. The Knut and Alice Wallenberg Foundation has decided to provide up to SEK 400 million for WWSC 2.0, the Wallenberg Wood Science Center, between now and 2028. KTH, Chalmers, Linköping University and the forestry industry are participating. Printed electronic transistor circuits and displays, in which the colour of individual pixels can be changed, are two of many applications of ground-breaking research at the Laboratory of Organic Electronics, published in Science Advances. A drug delivery ion pump in organic electronics also works in plants. Researchers from the Laboratory of Organic Electronics at LiU and the Umeå Plant Science Centre have used such an ion pump to control the root growth of a small flowering plant. A supercapacitor has been constructed in a plant for the first time. The plant, a rose, can be charged and discharged hundreds of times. This breakthrough is the result of research at the Laboratory of Organic Electronics. With a microfabricated ion pump ions can be sent to nerve or muscle cells at the speed of the nervous system and with a precision of a single cell. “Now we can start to develop components that speak the body’s own language,” says Daniel Simon, LOE. Researchers at LiU have developed a small device that both detects the initial signal of an epileptic attack and doses a substance that effectively stops it. All this takes place where the signal arises. “We usually talk about ground-breaking research, but now we can devote ourselves to neck-breaking research,” says Magnus Berggren, professor of organic electronics who was named as one of 2012 year’s Wallenberg Scholars and thereby receives SEK 15 million (ca EURO 1.7 million) research funding to spend as he likes. Researchers at LiU’s Laboratory of Organic Electronics have developed power paper – a new material with an outstanding ability to store energy. The material consists of nanocellulose and a conductive polymer. Using semi-conductive polymers, both analog and digital electronic circuits can be created inside living flowers, bushes and trees, as researchers at Laboratory for Organic Electronics have shown. The results are being published in Science Advances. Do ordered polymer chains increase the conductivity of plastic? Newly developed are more conductive, but for completely different reasons – according to researchers from LiU and Stanford University, in an article in the highly ranked journal PNAS. A small ion pump in organic electronics is giving new hope to people suffering from severe nerve pain. Researchers at LiU and KI are the first in the world with technology that can stop pain impulses in living, freely moving rats. For thirteen years the mystery has remained unsolved, but now Negar Sani, PhD student at Linköping University’s Laboratory of Organic Electronics, has succeeded in explaining how a printed diode can function in the GHz band. The diode forms the missing link between mobile phones and printed labels. At LOE we explore electronic and optical properties of organic materials and organic-inorganic hybrid systems.